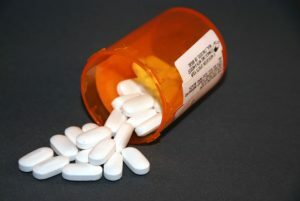 If a pharmaceutical company knows or has reason to know of a defect in their products and either hides the results of tests performed, or chooses to be willfully-blind of a potential averse event (side effect) due to failure to conduct adequate testing, this can be the basis for filing a Boston defective drug lawsuit against the drug manufacturer. Non-steroidal anti-inflammatory drugs like ibuprofen, sold as generics and under brand names such as Advil or Motrin, have been on the market for decades. They are available in over-the-counter (OTC) strengths of 200mg per pill or capsule. Adult are generally advised to take one or two. The medication is also available in prescription-strength doses like 600 or 800mgs. Consumers have been told it is safe to take these large does for up to two weeks at a time. They are supposed to stop taking the drugs for some period of time to prevent stomach issues like ulcers. While product manufacturers do warn that overuse of ibuprofen could result in severe stomach problems including internal bleeding, this was the only serious side effect reported unless an individual was allergic to ibuprofen itself. Now, according to a recent study reported by Forbes, it’s being revealed that long-term ibuprofen may have serious effects on men’s testicular health as well as male fertility. This is far from the only drug that can have serious effects on male health, as we have seen many cases where testosterone replacement therapy (TRT) drugs, or Low-T drugs, which reportedly lead to increased risk for heart disease and strokes. The ibuprofen research analyzed long-term use of higher doses, which is very common in the U.S., particular among amateur and professional athletes, as well as those who have jobs that require strenuous physical labor. Many just feel that being in pain is part of the sport or the job and take ibuprofen pills on a regular basis to cope. While many take the pills after the activity to deal with the pain, the study found that a larger subset of athletes take the pills before training or a big game as a means of preventing the pain while competing. They will then follow-up with more pills after they are finished. What they discovered was some males who consumed the drug long-term suffered negative effects to their reproductive health. Researchers and patients did not know if they were using a placebo or actual ibuprofen drug on any given subject. Because both the study organizers and the subjects were in the dark, it was called a double-blind research study. The U.S. Food and Drug Administration (FDA) requires many studies to be double-blind. What the study found was that those who had taken the actual drug (not a placebo) experienced an increase in a hormone known as the luteinizing hormone. Since they were looking at male reproductive health, the subjects were all men. This hormone is responsible for making certain cells in the testicles produce more testosterone. However, despite an increase in the hormone that calls for the body to make more testosterone, no more testosterone was actually produced. This actually had the converse effect because the testicles were working harder to produce the same amount of hormone. This overwork then led to a reduction in the efficiency of testosterone production causing further reproductive issues. The researches noted that those who only take ibuprofen from time-to-time should not be concerned, but those who use it for more than several weeks may have issues such as the ones just discussed. For a drug that has been on the market for decades, we can see that there have only been long-term studies conducted very infrequently. The reality is there is little known about the long-term effects of many drugs and that is a major issue. In the case of TRT drugs, as discussed above, there is very little basis for believing they do anything beneficial even in the short term, without even thinking about long-term issues. Doctors know of the risks, and the alleged benefits are unsure. Many will not prescribe them to treat symptoms of male aging. This is why so many men go to Low-T clinics where there is often very low levels of supervision by licensed doctors, and patients are being given dangerous drugs they probably do not need in the first place. These cases can involve very complex legal issues so it is best to seek a free-consultation with an experienced defective drug attorney in Boston to see if you have a valid claim. Potential plaintiffs should not worry about whether they can afford an experienced attorney, because Boston product liability lawsuits are handled on a contingency fee basis. If an attorney chooses to take your case, there will often be no attorney fees unless and until the plaintiff is successful. This is not only true of defective drug lawsuits, but also of lawsuits involving defective medical products such as artificial hips and knees.